1. 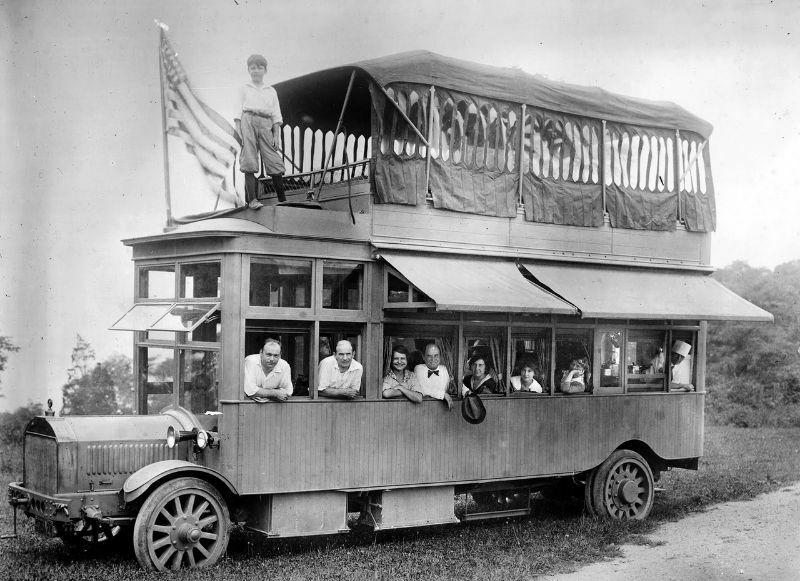 The superb bus of Ray Conklin, president of the New York Motorbus Company in 1915. 2. 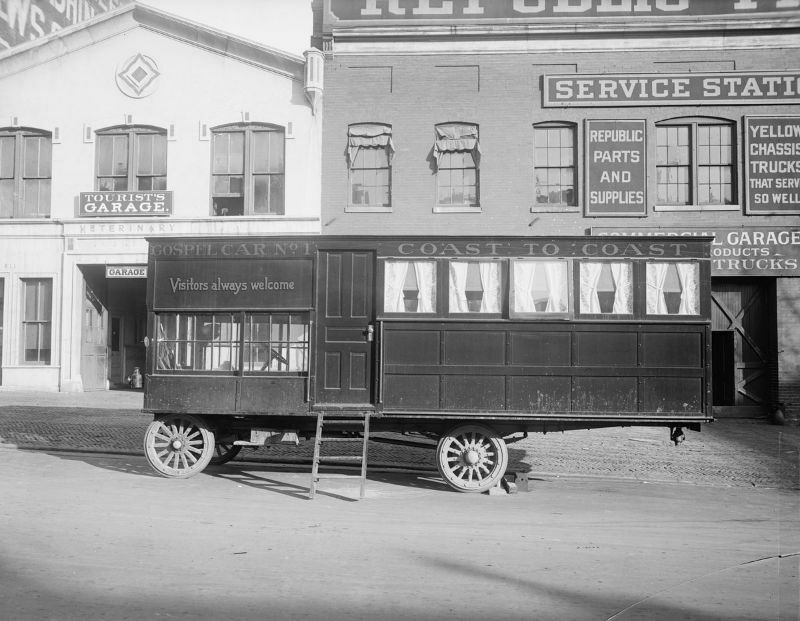 Gospel Car No. 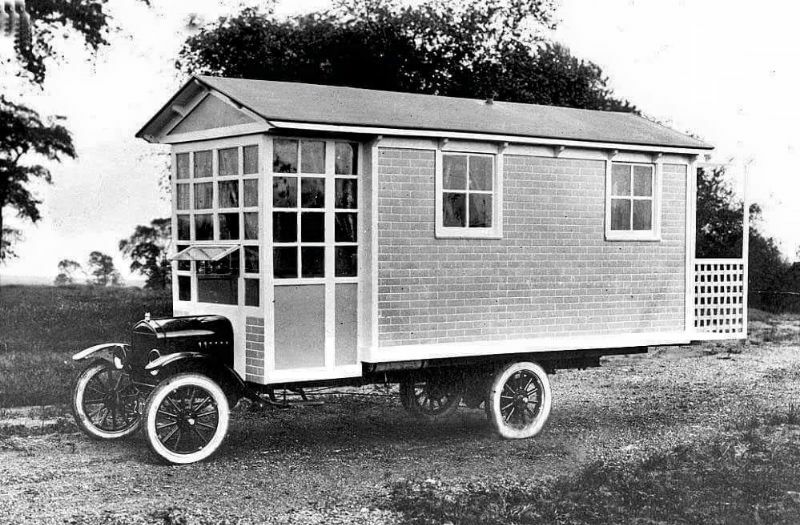 1, built by William Downer in Glassboro, New Jersey, late 1910s. 3. Dr. A. A. 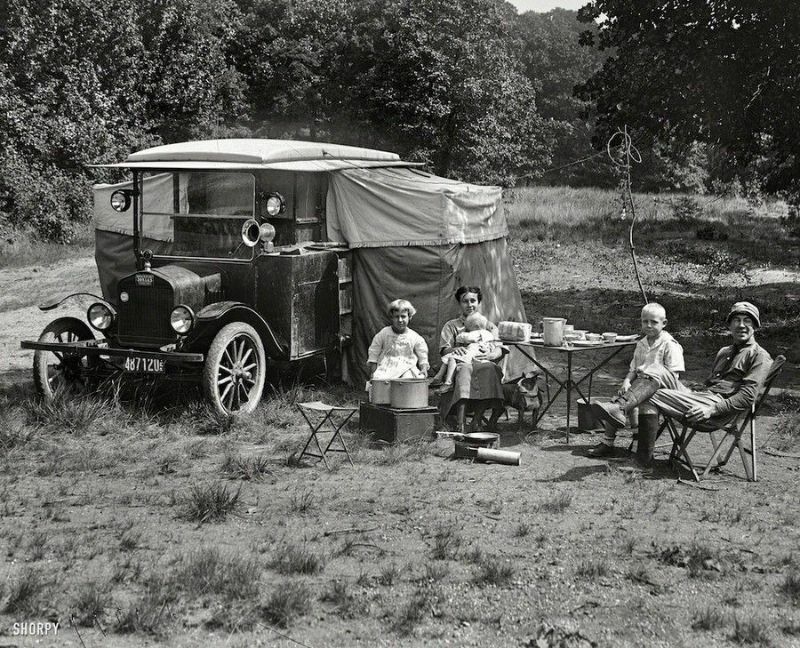 Foster and his family in an auto tourist camp, ca. 1920. 4. 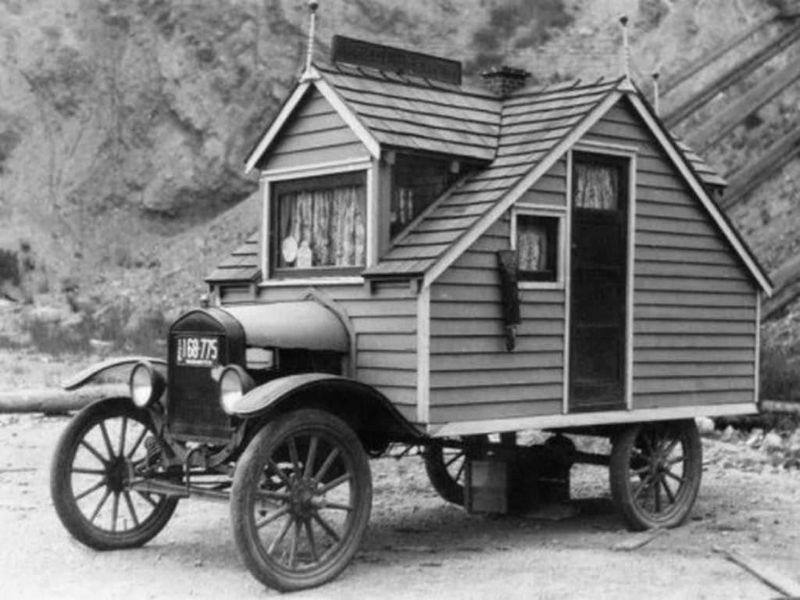 A Ford Model T from the early 1920s. 5. On a Ford TT chassis.